Hello from the Windy City! I'm spending some time here, and before my breakfast appointment, managed to get a run in along Chicago's Lakefront trail, which is about a mile from the awesome AirBnB property where I'm staying. It's already getting hot here, but the breeze off the lake made for a very pleasant run nonetheless. 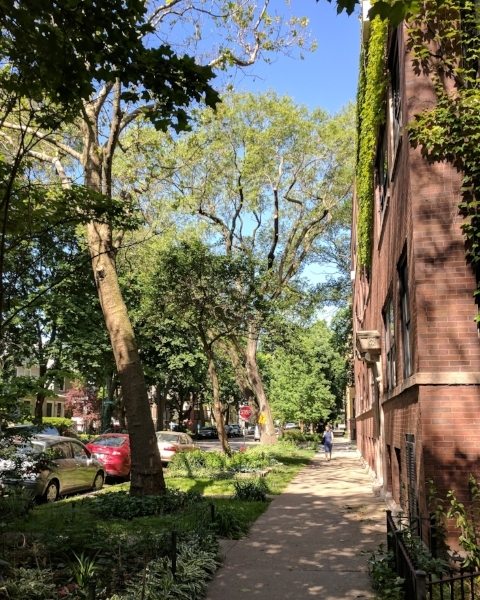 Today's run began in the leafy, tree-lined neighborhood where I'm staying, and meandered through the Edgewater streets toward the lakeshore. Then, I headed south into the city. I turned around after just half an hour or so -- I have business to attend to, after all! -- but that was enough to get a taste of this important Chicago institution that is obviously loved by locals and tourists alike. Dumping the sand out of my shoes, I'll see you on the trail!